GRC is a fully independent limited company based in the UK and Dubai specialising in the design and development of mission critical communication and situational awareness systems. Our products are used by the military, government Agencies, NGOs and commercial organisations which operate in challenging environments across the globe. GRC’s design and engineering teams comprise ex end-user specialists whose backgrounds in protection force communications enables us to provide unrivalled operational knowledge and technical expertise. Our wealth of tactical and strategic understanding gives GRC an advantage over many of its competitors, allowing commercial off the shelf (COTS) and Military off the shelf (MOTS) equipment to be enhanced through integration with in-house product design. The company works in close partnership with its customers to fully understand their requirements and ensure that solutions are unique to their individual specifications. Additionally we provide complimentary consultancy services, including radio network design, tactical services, installation and training solutions, using in-house expertise to extend beyond the delivery of C4IS and general defence equipment. 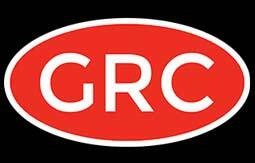 GRC also provides Through Life Capability Management (TLCM) for all our products. We are equipment agnostic and have an excellent track record of unlocking latent capability of customers existing products, with the ability to source solutions to meet clients budgetary requirements.